So...it's been a long week for me especially trying to settle down after staying alone for 2 years in KL. Coming back home is a big big relieve for me as i need not worry about feeding my growing appetite with unhealthy junks but then, i think i still prefer life staying alone and being alone. Haven't done anything progressive but made a number of plans for myself. Officially, i'm starting work on February 1st so i'm trying to rush myself to achieve what i have in mind before i start to get 'busy'. I'd love to see this being shown on AXN channel on one of their featured show, Worst Case Scenario. If you have no idea what that show is about, they're like teaching you to be prepared for accidents and stuff like that. And i think the Malaysia Police Force (yes, i just love rippin' on those guys...they are so much fun!) should be in like the top 10 position of the show! 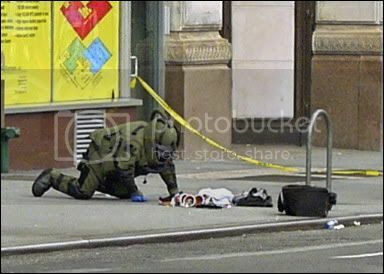 A typical picture of what NYCPD Bomb Squad in the States do when there's a bomb alarm. And now, this is the famous Malaysia's version. Armed with a pen and paper, all dressed up in their pretty blue uniform, they're set to go. They're really living up to their motto..."Malaysia Boleh!" Try picturing how it'd be like if the bomb exploded. A gruesome sight indeed....but still with their pretty blue uniform. 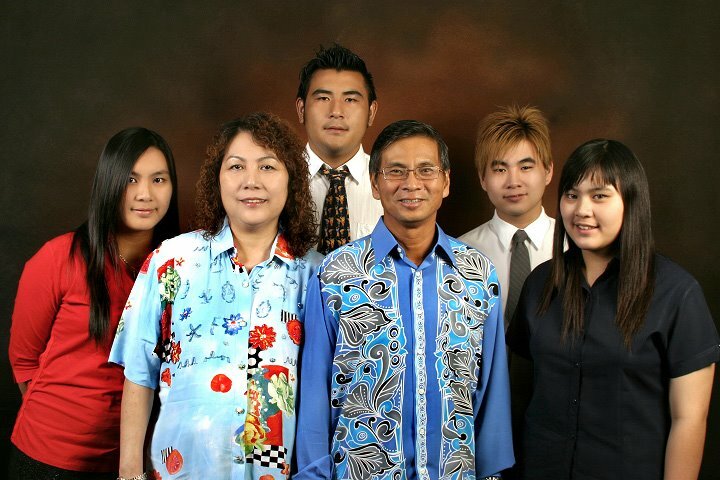 I wonder how Brunei's one would turn out to be. 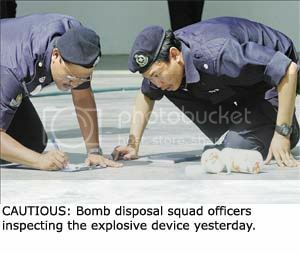 Probably the forces will inspect the bomb telanjang (Bruneians should know this..). Haha! Until something productive happens, i'll blog again.